After the Champions League game against Paris SG, Barcelona will have to be in top of their game when Los Che are visiting the Camp Nou stadium. Messi in it's current form will be unstoppable for Valencia. This derbi de Valencia edition will be played in La Mestalla. After 2 draws in a row Valencia will have to win the 3 points against Levante. Meanwhile Levante always performs well against Valencia. The #3 Atletico and #7 Malaga will face each other in the 31st round of the Primera Division. With the end of the season in sight this could be 3 crucial points for Atletico to finish top 4. Barcelona midfielder Rakitic will face his former employer Sevilla where he won several prices. Will Luis Suarez and Lionel Messi be able to keep their current form in this thriller? Athletic at home in San Mames is a difficult game for every team. Winning their last 3 home games, among them Real Madrid, Athletic will be confident in this confrontation with Valencia. Antoine Griezmann will face his old team Real Sociedad. 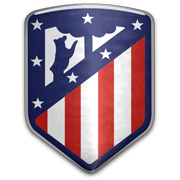 After beating Cordoba, Atletico is still in the race for the 3rd place in la Primera which gives direct acces to the CL. An important game for los Rojiblancos. Winning 8/8 games in 2015 in la Mestalla Valencia is well prepared for Villarreal. In their current form Valencia will beat Villarreal and put full pressure on Real Madrid for the 2nd place in the Primera Divison. The game versus Celta de Vigo in Estadio Balaidos will be a walk in the park for FC Barcelona. Who will score most of the goals? Neymar, Luis Suarez or Lionel Messi? Sevilla is 22 games unbeaten at home this season and is 5th in the Primera Divison while Athletic is placed 8th. Colombian striker Carlos Bacca scored 16 goals for Sevilla and is in top form.